It has been some two hours that we have been journeying down the Kinabatangan River in a fast moving speed boat on our Borneo photo safari. 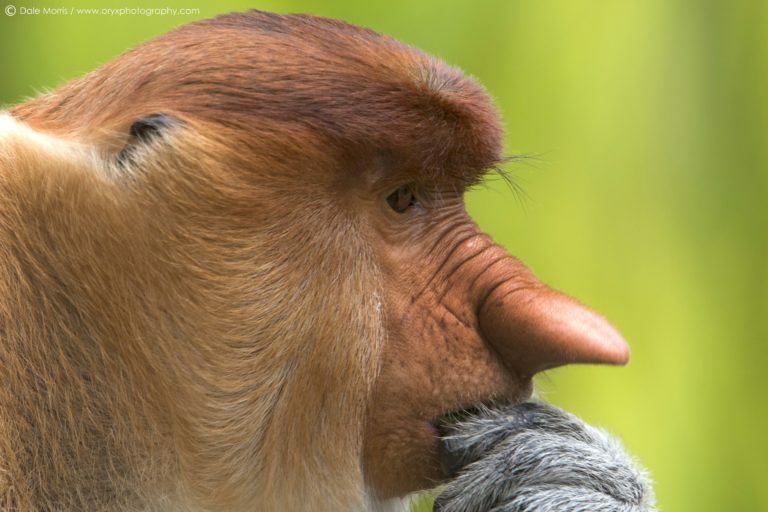 Proboscis monkeys, with their weird floppy noses have watched from their vantage points high above in the tallest of riverside trees as we zipped past, as have a myriad of colourful birds. 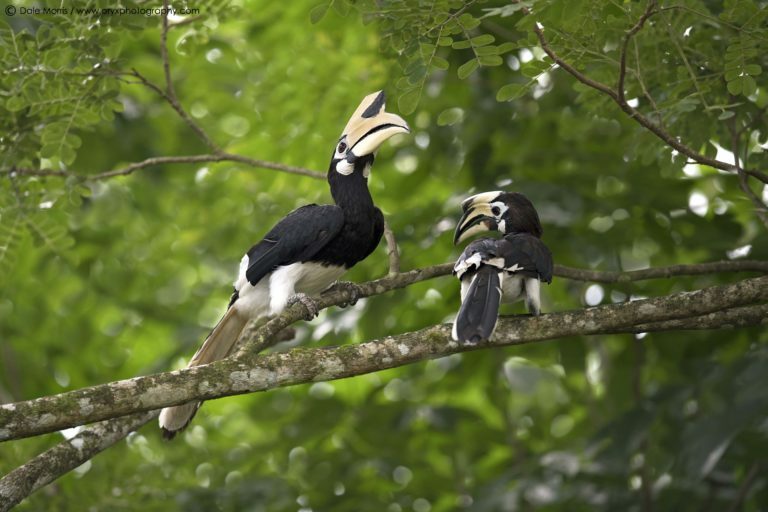 Hornbills have flown overhead, the swooshing of their wings and their loud honking calls, audible even over the thrumming sound of our outboard engines. Their silhouetted forms soar from one tree the next, looking for all the world like long extinct Pterosaurs. The tropical forests of Borneo remind me of Jurassic Park. The steamy jungles, shrouded in mist. The strange animals calling, shrieking, whistling and honking from the depths of an impenetrable wall of green. This is indeed a primal place. Ancient and wild. Seemingly untouched by the hand of man. We may as well be searching for dinosaurs among the meandering bends and the towering jungles of tropical ferns and lianas. Our Borneo photo tour has already yielded photographic opportunities for the shaggy primal beast that is the orangutan; an old relative of modern mankind. 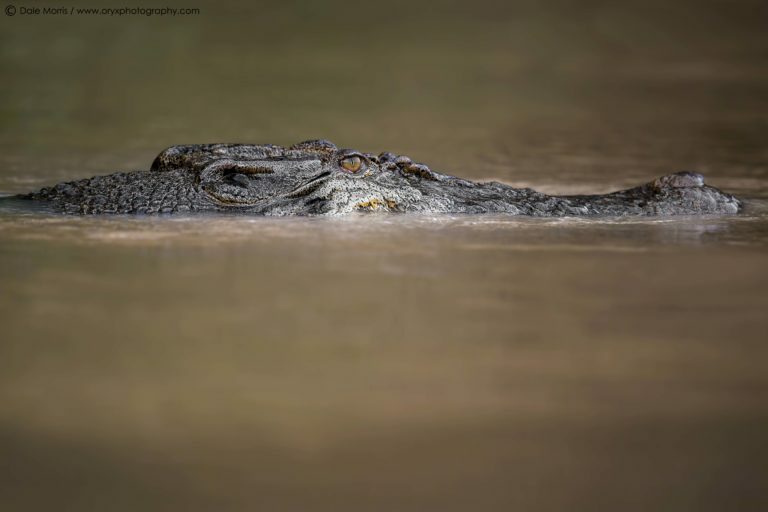 We have seen sinuous monitors and tree snakes and huge ancient crocodiles who have remained in their present forms for countless millions of years. We have also glimpsed bizarre gliding lizards and flying lemurs. Relics from a distant past, one and all. But today on our photo safari we are searching specifically for ancient giants. But unlike dinosaurs, these ones aren’t extinct….not yet at least. 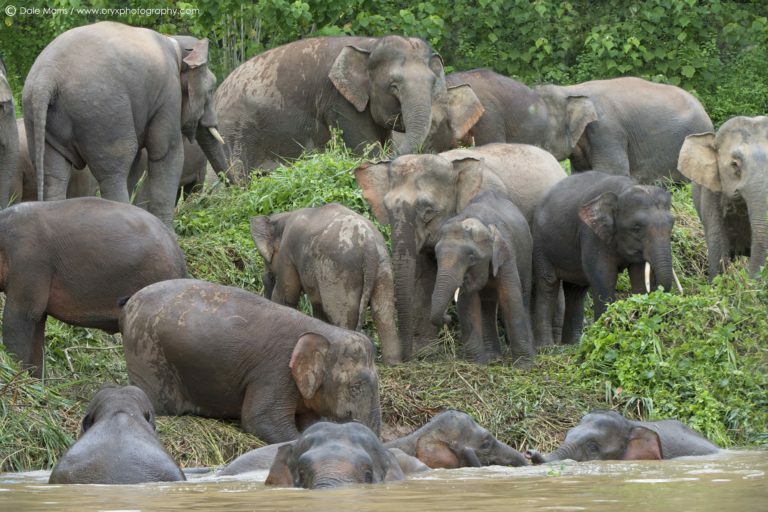 The Borneo pygmy elephant is indigenous to this huge tropical Asian island but there are fewer than 3000 left in the wild. 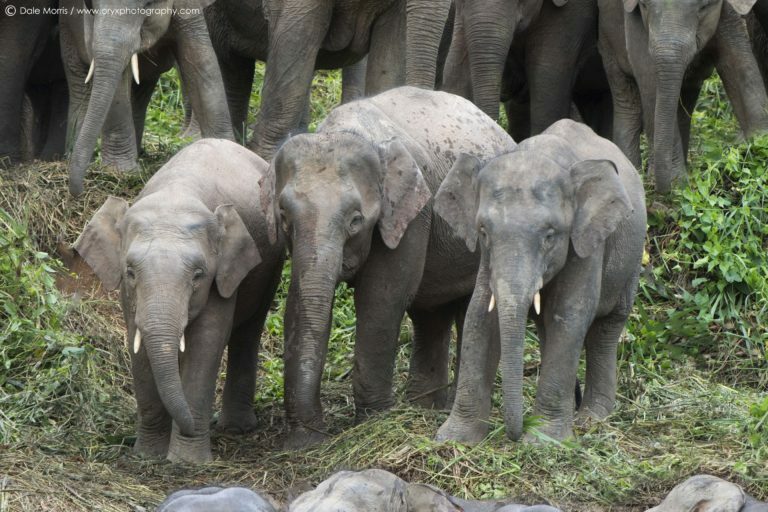 Across their range, their habitat is being destroyed to make way for palm oil plantations. 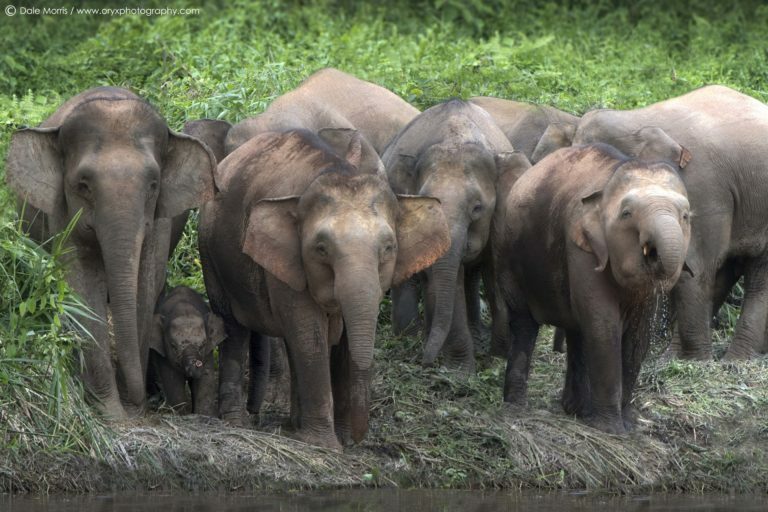 But here, among the riverside rainforests of the Kinabatangan, the elephants are mostly safe. It’s the best place in the world to see and photograph them. But as all wildlife photographers know, nothing in nature is guaranteed. Bend after bend we travel; the clock ticking against us, for soon we will have to turn back for the lodge before darkness falls. But then I begin to notice the tell tale signs that elephants have been near. There are flattened grasses along the river banks, broken branches, churned up mud and footprints on the beaches. We’re close, I tell our guests. And right on queue, we turn a corner to a wonderful site. 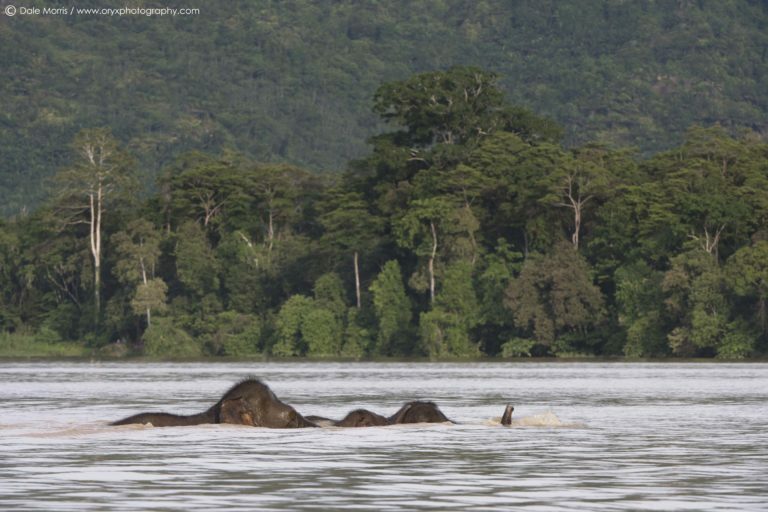 A herd of about thirty elephants browsing and playing upon the edge of the river. 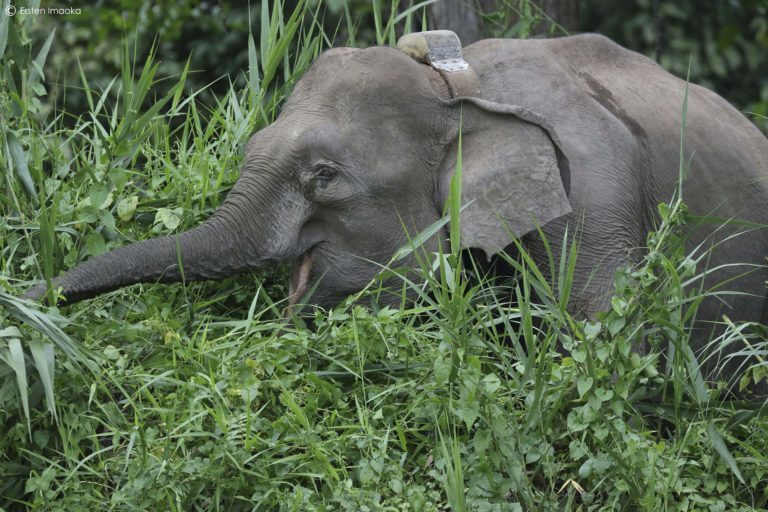 Don’t let the name “pygmy” fool you into thinking these elephants are tiny. They’re not. But they are noticeably smaller than both of their cousins, the Indian and African elephants. Their ears are small, their heads bulbous, and their tales so long that they sometimes drag along the ground. And like elephants everywhere, they are busy and fun to watch. Youngsters tussle with one another in rambunctious games of push and shove; their trunks intertwined, their ears flapping like swan wings. Mothers nurture their babies beneath their protective bulk. A big male bull stands proud on a prominence, and watches us cautiously as we park off at a safe distance in the middle of the river. Now it’s time to start photographing. But no sooner are our cameras out and snapping, then the mother of all tropical downpours begins, and we must quickly pack away our gear lest it drown beneath a barrage of raindrops the size of large grapes. It feels as if we are beneath a warm waterfall. Thunder rumbles above us and the elephants converse with the clouds with bellowing calls of their own. Some of them take to the water and begin splashing and playing, others take advantage of the newly formed sloppy river bank mud and commence to rolling around in it. It’s a joy to watch, but we are unable to take photos in this torrent of rain. Again, the clock is ticking against us, for soon we must head back. It’s dangerous to be on the river so far from the lodge at night. Too many sunken and floating logs that would be impossible to see in the darkness. We have seen how big the crocodiles can get ‘round these parts! Hitting a log and capsizing is not on our list of things to do. But as is common here in the steamy tropical forests of Asia, thunderstorms climax and die as quickly as they start. The clouds vanish as if they were never there, and sunshine and blue skies take their place. Now we get our opportunity! Click, click, click. 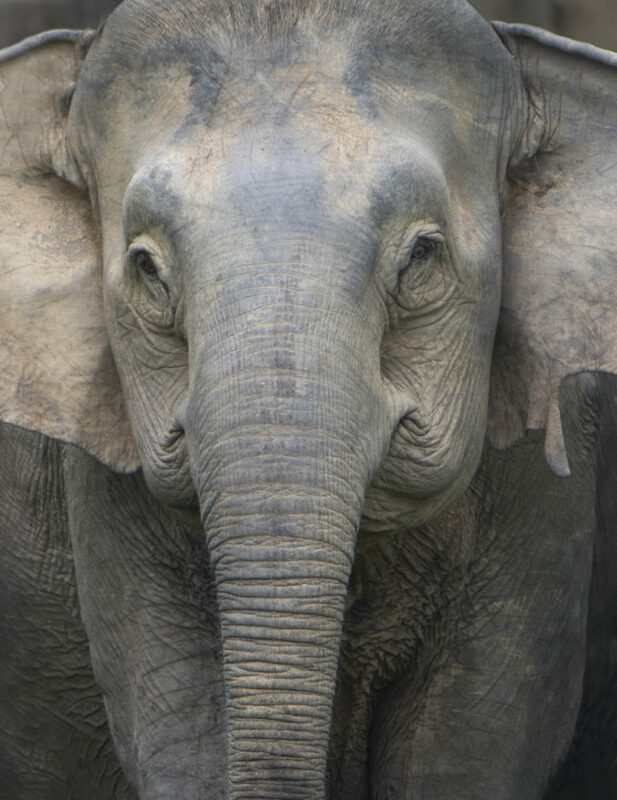 A fabulous photo session with Malaysia’s beautiful, rare, and ever so special Borneo pygmy elephants. We reach our lodge as the sun sinks below the river, the dark heralding an awakening of raucous tree frogs, bats and other strange creatures of the night. 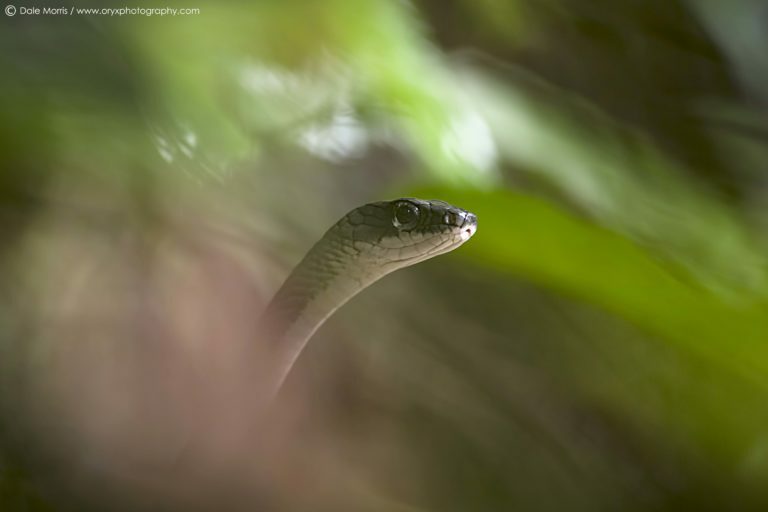 It’s time to don our hiking boot and continue on our Borneo photo safari and turn on our flash lights, and follow the fireflies out into the jungles on foot for a night walk. This is just the beginning of our 13-day photography tour here in Borneo. Ahead of us lies yet more destinations, more beautiful forests, more orangutans and gibbons and other weird and wonderful life forms. And if we are lucky, perhaps we will once again encounter a herd of Borneo’s charismatic and wonderful pygmy giants. 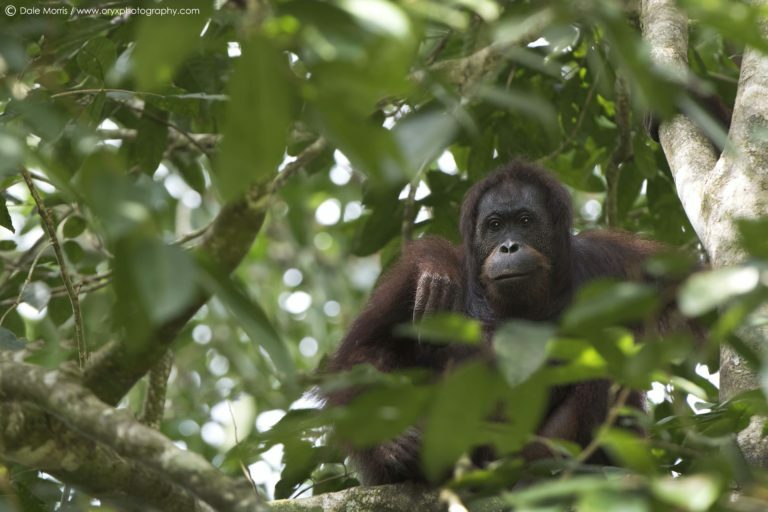 Join ORYX on our next trip to Borneo!